Every day—whether it’s sunny or cloudy, summer or winter—millions of Americans make the conscious decision to not wear sunglasses or other ultraviolet (UV)-protective eyewear. While seemingly harmless, this habit carries serious vision risks, many of which are not known or understood by those who fail to wear protective eyewear. UV radiation is often recognized as the culprit for sunburns and skin cancer but most people are oblivious to the damaging impact the wavelengths inflict on our vision. The problem originates with the sun’s unfiltered ultraviolet (UV) rays. Just as these rays can burn skin cells, they can also harm unprotected eyes. A full day outside without protection can cause immediate, temporary issues such as swollen or red eyes and hypersensitivity to light. Years of cumulative exposure can cause cancer of the eye or eyelid, accelerate conditions like cataracts and age-related macular degeneration. 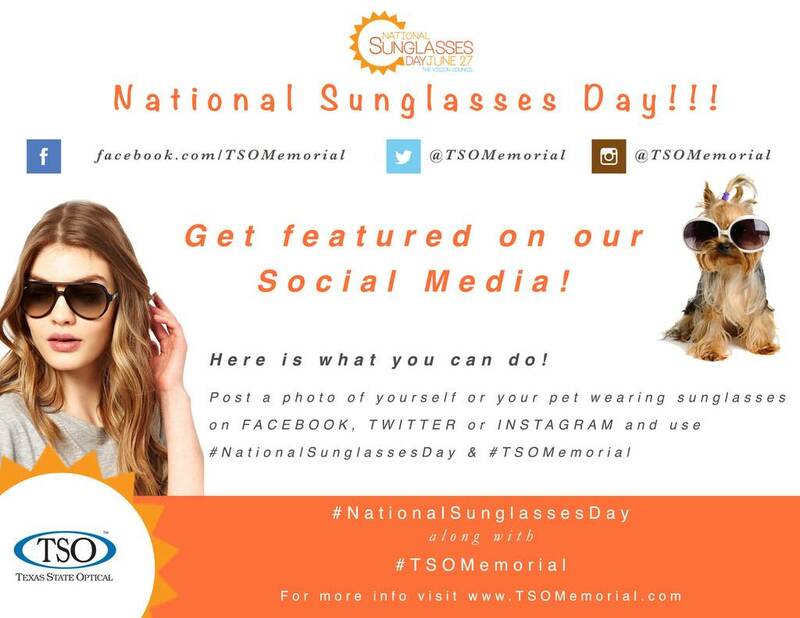 National Sunglasses Day is held annually on June 27. It is not only an observance but a reminder that our shades are a health necessity and it is important to wear sunglasses or other UV-protective eyewear every day to protect long-term eye health.